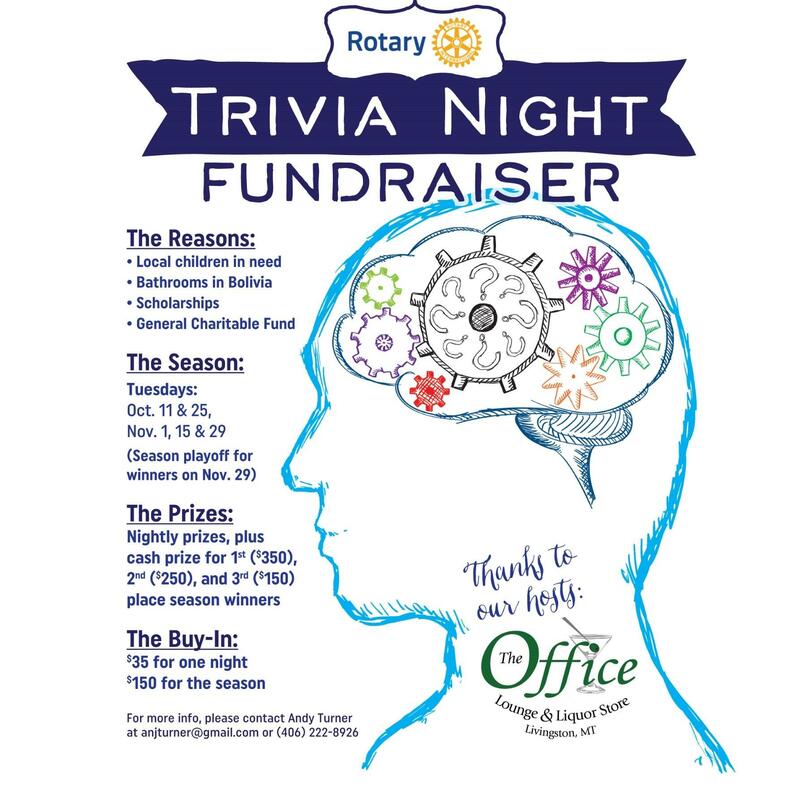 Livingston Rotary Club is excited to announce our second annual trivia contest. We are looking for sponsors and teams to compete in this fun event. The contest consist of 5 nights of trivia over 8 weeks. Cash prizes will be awarded to the season winners on November 29th. Proceeds from this fundraiser help us support local children in need, local scholarships, additions to the water spray park, the bathrooms in Bolivia project and our general charitable fund. For more information please call Andy Turner at 222-8926, Tammy Haefs at 222-9010 or Sarah Skofield at 222-1000.